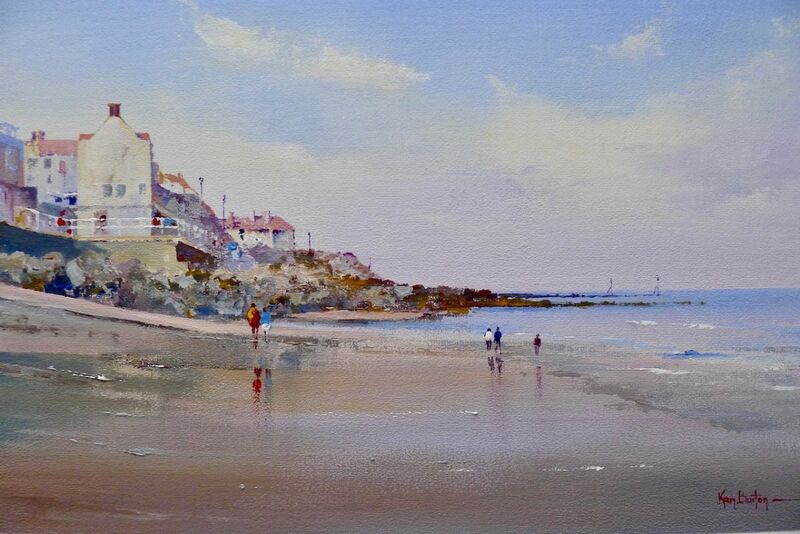 Sheringham Low Tide - Artist Ken Burton, Paintings of Norfolk, Paintings of Yorkshire and cityscapes etc. Original Acrylic on canvas board. Image size 11" x 7", double mounted to size 18" x 14"